GENEVA, Switzerland, October 10, 2013/African Press Organization (APO)/ -- Although the plague has been eradicated from most countries of the world, it is still rife in Madagascar. 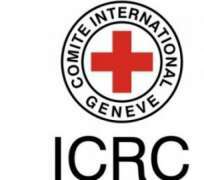 To fight the disease, the International Committee of the Red Cross (ICRC) and the Malagasy prison authorities have just launched a campaign against rodents in Antanimora Prison in Antananarivo, where 3,000 inmates are held. "The chronic overcrowding and the unhygienic conditions in prisons can bring on new cases of the disease," said Christoph Vogt, head of the ICRC delegation in Madagascar. "That's dangerous not only for the inmates but also for the population in general." Since 2009, an average of 500 cases have been recorded on the island every year. In 2012, Madagascar became the most severely affected country in the world, with 256 cases and 60 deaths according to data from the World Health Organization, which is working in partnership with the Malagasy health ministry to implement a national policy for fighting the plague. "Rat control is essential for preventing the plague, because rodents spread the bacillus to fleas that can then infect humans," said Mr Vogt. "So the relatives of a detainee can pick up the disease on a visit to the prison. And a released detainee returning to his community without having been treated can also spread the disease." The Malagasy prison authorities are taking action to eliminate rats and prevent the spread of the plague in Antanimora Prison with the technical support of the ICRC and the Pasteur Institute of Madagascar. Detainees and prison staff are involved in the disinfection work and insecticide spraying that the ICRC carries out in the cells as needed. The ICRC also distributes hygiene products and rodent traps. In 2012, some 1,600 rats were captured in a similar campaign. "The aim is to make sure there is no let-up in the fight against the plague in prisons," said Mr Vogt.